King of Aragon: Davies set to "confirm progress" at happy hunting ground! 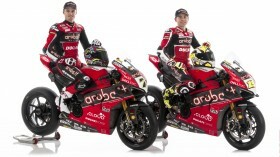 You think of MotorLand Aragon and you think of Chaz Davies; can he return to winning ways as the Master of MotorLand? 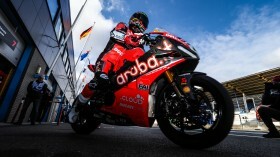 Chaz Davies (ARUBA.IT Racing – Ducati) heads to his most successful circuit on the WorldSBK calendar: MotorLand Aragon. Davies has been a prolific winner at the circuit, winning on seven occasions across two different manufacturers. Whilst 2019 may have started in a difficult fashion, the Welshman will be looking to fire his championship challenge back into life this weekend. His notoriety and fame at the circuit came in 2013, when he took an outstanding double-win from third on the grid; this was his first career double and apart from 2014, he has been a winner every single year at the dramatic MotorLand Aragon venue. All of his wins have come from outside of the front row, with a win from tenth on the grid in Race 2 2017 being a highlight of his success in the Spanish desert. Speaking ahead of the round, the 29-time race winner and three-time WorldSBK runner-up said: “I wouldn’t go as far as to say that the Aragón round – given my seven wins here – is a track where it’s all going to come together, because it’s not as simple as that. For sure it’s a track which on paper is better for me and this could help to mask some problems, but we still have to continue to work hard to find the best possible set-up,” said a humble and pragmatic Davies. 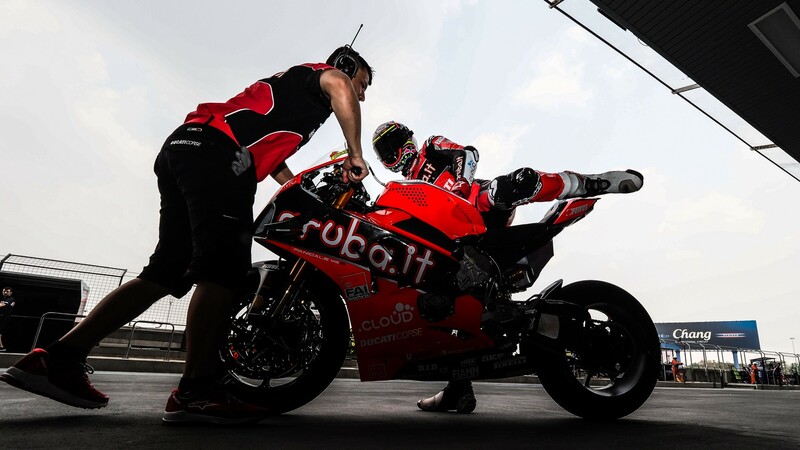 Five wins at the MotorLand Aragon circuit have come aboard the Ducati, and Davies will be hopeful of continuing their positive start to the 2019 MOTUL FIM Superbike World Championship campaign. Should Davies mount the podium this weekend, it will be his 80th in WorldSBK and his 92nd in all classes. 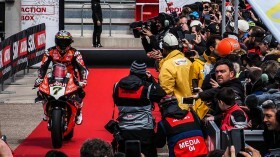 His last win in WorldSBK came at the MotorLand Aragon circuit in 2018, during Race 2. Watch Chaz Davies and the rest of the star-studded WorldSBK riders in action at MotorLand Aragon with the WorldSBK VideoPass!